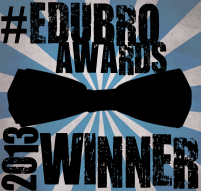 Being a nominee for an Edublog Award is not necessarily going to get you a lot of traffic. Below is the Google Analytics information for my blog. Notice there has been only 12 visitors from the nomination page for Best Class Blog. My clustermap is in no danger of spontaneously catching on fire because of the huge numbers. 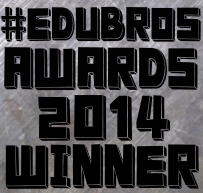 There is also the amazing number of class blogs on the short list for this award, 38. All of these blogs are quite amazing for different reasons and I would suggest you spend an hour or two perusing them. Now to my point, I won't be actively seeking votes to try to win the award. It isn't because I think the contest isn't worthy, it is because my class has already won. Being recognized by Joe McClung and Myles Webb on their class blogs is really more meaningful to me. I have worked personally with Joe at my school and Myles and I have developed a wonderful relationship over the last couple years. I have been so impressed by their work that I nominated Myles' blog for last year's awards and Joe's blog for this year's. While I appreciate any votes I do get from those going through the process and recognizing my blog, being recognized by these men I know and truly respect makes my blog the winner. I am very fortunate to have some of my work included in William' Kist's book, The Socially Networked Classroom. I have just started reading it and am enjoying it very much. Thinking about what I have read has made me start to think about my school. I have spent a lot of time and effort on my classroom. I have invested countless hours in working through the how and why for many different technology tools. I have posted over 500 blog entries and commented hundreds of times on other blogs. I have learned and shared a vast amount of new information that has truly helped me look at education in a new way. I have transformed my classroom in the last five years. As I walk down the halls I see the difference in the amount of technology the teachers and students have access to now. There are projectors in all classrooms and IWB's in almost all of them. Most teachers have laptops now and we have an open wireless network. Anyone can get online at anytime in our school. Teachers have access to digital cameras and webcams. The one minor problem we have right now is some cranky server software and not enough broadband access to the internet. As I look back over the past five years I wonder where we will be in another five. Will students be carrying laptops and netbooks? Will we finally allow them to use smart phones in class? Will our textbooks be digital instead of paper? All of these questions will of course be answered in time. The one question that is most important has nothing to do with hardware or software. It is the one thing I can control: How will my school change for the better because I am here? I can no longer hide in my classroom and work between the encompassing four walls. I now have more responsibility to both the teachers and students in my building. I need to seriously consider what I need to emphasize. My view has to broaden and encompass a much larger mission. This is a new focus for me. In the past I succeed or fail on my own merits. The impact is much smaller because of the fewer number of students I had access to. Now my decisions impact ten times that number. I don't know what direction I am heading. I have already encouraged the increased use of class blogs with other teachers. I know we are progressing as a school, but the rate of speed with a large group is so much slower than with an individual. I really need to make sure that anything I bring to the school as a whole is very important for our school community. I don't have the luxury of experimenting with a small group anymore. I received the above comment from a student in Mr. Miller's class. Mr. Miller told his class they would stop getting homework if they reached 2,500 hits on their class blog. Click here for an update. Make sure you stop by and add another hit to the map! I left a comment on the blog with the below advice. I have expanded some of it. The original comment is in bold. 1) I have been blogging for three years and the hits add up. I have not changed my blog address in three years so it makes it easier for people to find me after a long period of time. It is difficult to get attention from the education world for your blog because of the lack of teachers using technology and/or the lack of access to technology in the classrooms. There also seems to be a lot of ed tech "experts" that talk about how important it is for students to use tech tools, but they don't spend much time or attention visiting or promoting students' work. 2) I post regularly so that people have a reason to come back often. This is critical. I want to have a new post up at least every day or two. It seems like many times I will go days without posting and then I have two or three entries. With Blogger I can schedule posts to take place at a later time which I use often to help space out my posts. When I look at the blogs I follow on my site, I am much more likely to visit one that has newish content. 3) The title of my posts have words that people search for using search engines like Google. If your titles are not descriptive enough people won't find them in a search. I know for a fact that most of my hits come from Google. People search for specific things and if your titles are specific you will get more hits. I use Feedjit to see where my visitors come from and how they get there. For example, I have a post on the BBC website Dance Mat Typing. If you Google BBC typing I currently come in fifth on the list. 4) I comment on lots of others blogs. When I comment I make sure it is positive and relevant. Don't write something like, "Nice post", write instead, "I really like the way you used descriptive adjectives in your story." or "That is a great science project! When I teach that subject I will do this activity too. I also do __________ when I teach this." I started the comments4kids meme on twitter to encourage leaving comments on students' blogs, a by product of that is the ability to link back to our own blog. We receive a lot of hits and comments from blogs we leave comments on. I am sure there are lots of other things that help. If you know of any please post it in a comment below. I tweeted the below message this morning after having a conversation with my junior high math teacher. She had been sick yesterday and looked pretty pale today. She had planned on students working in the lab today testing, but most had finished the day before. Since she was obviously not feeling good, I volunteered to put something on my blog that the students finished with the testing could do. After asking her what she was covering, probability, I did what any 2.0 teacher would do, I went to Twitter for help. Within a few minutes I started receiving suggestions from my network. Obviously, covering for another teacher is not an unusual occurrence, we have all done that. What makes this more unique is that the people that helped the math teacher out did not even know her. Several of the wonderful teachers that responded haven't even had a lengthy conversation with me. They just saw a need and filled it. This is obviously a positive pln story, but it really is much more. This is really a small hint of what we will soon see in education. Teachers need to evolve to being social networking experts. Students will look to us for our ability to link them to what they want (need) to learn. We will no longer be expected to be experts in content or tools. We will need to be experts in creating paths from learners to knowledge. I have a new job this year. I have three hours a day to help facilitate technology into our school. While I have been teaching teachers (and students) tools, I find that the best learning experiences come from connecting students and teachers to sources they can learn from. We have had several experiences this year that have made for some great experiences for my students and for others. Dear Kia: Voicethread and Video helps recount a wonderful teachable moment that started with simple question by a student commenting on a child's blog (something I consider to be incredibly transformative for my students). Mrs. Baker and Mrs. Whittier Skype Meeting recounts two classes sharing culture using Skype. Mrs. Whittier's Spanish class wanted to know what school was like in Mexico and we have students that have attended school in Mexico. In How to Speak Chuukese Part 1 we took a problem, a small population of students that spoke only Chuukese, and decided to create some videos to help others that may have the same problem. What made these experiences possible was the connections I have made through blogging, commenting on blogs, and Twitter. I created no content but simply connected my students to learning opportunities. You better start making connections too if you want your students to have these opportunities. 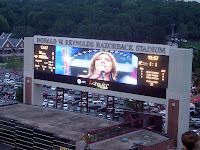 I was sitting at the Donald W. Reynolds football stadium on the campus of the University of Arkansas Saturday afternoon watching the jumbotron "Pig Screen". When I noticed it showing people in the stands. While this is a normal occurrence at the football games, and I have been to plenty to know, this time I was struck by the students and children that were being shown. I like to watch them show people in the crowd because many (especially students) do some funny and sometimes incredibly stupid things. That made me reflect on something I have been contemplating for a while. What digital artifacts are our students creating? I see on television or the internet stories like the riot that took place in Chicago ending with the murder of Derrion Albert, with that being recorded on a cell phone. I see a bus video of a student in an altercation with a bus driver. I see kids video (cell phone again) the assault of a young lady by several other young ladies. These are artifacts that not only make us sick, but also relay a message that young people are violent, aggressive, and dangerous. Not only are the students in these videos tainted by their actions (with good reason), but all students have to carry some of that burden as well. There are plenty of education sites that show students in a positive light such as At the Fireplace, Beyond the Rainbow, East Dragon Den, Little Voices, Little Scholars, Room 8 Melville, and Saigon South International School Blog. While these and many, many more showcase positive experiences students are having, they really don't help individual students create that digital portfolio that will follow them throught the next few years. My class blog reflects me much more than my students. Facebook is a perfect example of how the digital trails students create can come back to haunt them. Here is an article about how roomates are perceived by the parents of college students. Here is an article about the perils of adding stupid content to your Facebook page. While I don't believe we can teach the stupid out of some actions our students will do, perhaps a strong digital portfolio will help others see them as more rounded individuals. Who wants the only information about them on line to be about how much they like to party and get drunk? How can we help our students create personal spaces that can help them record not only their learning, but also pieces of themeselves on line? Obviously, the answer is we must encourage our students to create and save digital content whether it be audio, video, writing, or a mash up of the three at some centralized spot that can be found later by them, future employers, or even by colleges and universities. What are you doing to help your students create their own positivie on line identity? How Do I Know I Am Not Just Being Selfish? Part of my job responsibilities this year is to help incorporate more technology into the classroom teachers' teaching. Already this year I have facilitated a Skype conversation between a class in my building and one in another state. I have helped several teachers begin (and begin to use) their own class blogs. I have created a professional development site that will be used in conjunction with our faculty book study. Things seem to be rolling along. Why is it I am starting to question my motives for pushing technology into the classroom? Am I simply forcing my own interests onto others? Do I really believe that learning how to blog, create media, and connect with others around the world is more valuable than learning more traditional content using more traditional context? Why is it I find myself more excited about the prospect of doing collaborative work with other schools than my students? Are they simply more accepting of the changes we are experiencing in the world and therefor not as impressed? What do you think? Are we pushing too hard a technology agenda, or are we simply trying to catch up with the world outside our walls? Last Tuesday I facilitated a Skype conference call between Mrs. Baker's ESOL class and Mrs. Whittier's Spanish class. Unfortunately, I had duty in the morning and had limited time to set up the equipment. I used a logitech usb webcam for the video feed feed and a Blue Snowball usb microphone for audio. The laptop is a Dell Vostro 1500 with 2 gigabytes of ram. We used the screen on the laptop for the video. We also used the built in speakers on the laptop for sound.We were using our wireless access for the internet. I wanted Mrs. Baker's students to be in their room so Mrs. Whittier's class could see the class environment. There are several things I plan to change for the next Skype call. The first is making sure I have powered audio. We had a difficult time hearing Mrs. Whittier's students through the excited chatting. The second would be to run the video through a projector. Although the video stream isn't exactly great, it would still make it easier for the students to watch. I would also change from our webcam to my digital camcorder with my macbook. Our video stream would improve greatly that way. To record the Skype call next time I will use CamStudio (Thanks to the recommendation by Eric Langhorst!). I had planned on using Jing Pro, but realized too late that it would only record 5 minutes of video. Obviously, this meant I did not get any screen capture video of our meeting :<. If you are planning on doing a conference call, here are some things to think about. Make sure you have an alternate (non internet) means of contacting the people you are skyping. I would suggest a phone number. See this post for how I learned that lesson. Also, do a practice call so the bugs can be worked out. I was having problems with my Snowball microphone on our practice call and had time to find a solution before the actual call. Here is the view the students had of the call. Here you can see Mrs. Whittier on the screen. Notice how the students were focused on the other class. Here is a screen capture of Mrs. Whittier's class waving goodbye at the end of the call. You can see our video feed in the bottom right corner. Here is some video. Plese forgive the poor quality. I was very pleased with content of the meeting. Mrs. Whittier's class wanted to learn about schools in Mexico. We have several students that have attended schools in Mexico so they were very valuable resources. Mrs. Whittier also wanted her students to have authentic experiences with the Spanish language. They had the opportunity through the call to talk to native Spanish speakers. In return, Mrs. Baker's students had the opportunity to learn about school in Virginia. The school Mrs. Whittier teaches at the Fredericksburg Academy is a private school that is very different from our school. Our students learned about some of those differences, but also learned that both groups of students had many similarities. Overall, I thought the meeting went extremely well and we plan to continue the conversation later in the year. If you would like your class to skype with one of our 3-8 classes, feel free to contact me and we will set it up! The electricity flickers once, twice, and then goes down for the eight count. Not a problem, there was still 50 minutes until the appointed time. I was sure it would be fixed pretty quickly. It is unusual for our power outages to be more than 5 or 10 minutes. After 20 I start to think, "Mrs. Whittier doesn't know we have no electricity and I can't tweet or skype....." I try to call my wife but get the voicemail. Irritated I hang up and immediately get a message that that I have a voice message. Yup, I had called my own phone.... I called home again and found out electricity was out there too. No help there. I go to my office to think. Walking in the dooor I have another idea, a friend and former colleague is now principal at another school in the district. I can have him log into my skype account and send a message. I quickly find the school's number and call but he is not in the office and they can't contact him. Suddenly I realized I had the solution in my pocket....I can send a direct message from my cell phone using texting! I received these messages back on my phone. Thank goodness I have my dm's set to text me! The purpose of my story is to point out that thinks don't always work out as we plan them. Had I not realized I could contact Mrs. Whittier she would have had her class ready to go and would not be able to explain why the call wasn't happening. I know that she would have been put in an awkward position through no fault of her own. In the future, I will make sure to get a phone number that I can call in case something comes up unexpectedly so that I won't leave anyone in that position. Kevin Huneycutt "I Need My Teachers to Learn"
I found this video on Wesley Fryer's blog Moving at the Speed of Creativity. I think this is an excellent example of how to create content that is powerful and meaningful. Watch the video below and listen to the message. Do you think this video might change the way someone you know thinks of using tech in the classroom? Do Our Students Really Know the Purpose of Assessments in School? Here are two students, Nick and Sarah, trying to explain why they took a formative reading and math assessment today. Unfortunately neither one can really answer the question. Here is Dale giving a pretty good explanation of why we assess. If we spend so much time assessing students, shouldn't they understand the purpose of the assessment? When I think about the years I spend assessing students without giving them a good reason for the assessment (either by explaining what I hoped to learn or by using that information to help make decisions in class) I feel bad. What is a teacher's responsibility in regards to the students and their assessments? Why Did I Move Out of My Comfort Zone? After spending the last 15 years teaching science and reading/communication arts I changed positions that does not require teaching anything I am comfortable with. Yes, now I am a keyboarding teacher! As strange as it seems to me, I am having to teach a class I have not been prepared for. I didn't take any methods classes in keyboarding, in fact the only class I took was a basic keyboarding class in 1985 when I was in high school. Yes, I do keyboard every day and I have been known to write lots of content in a short period of time, but I have never taught it. Talk about being out of my comfort zone! While I am finding it a real challenge, I also see this as an opportunity. Because this class seems to be pretty straight forward and I have the luxury of using a program purchased by my district to use I have more time to interact with my students. I can spend a few minutes talking with each one about not only what they are doing in class, but also what is going on in general. The opportunity to create relationships and gain trust will hopefully help me help them as the year progresses. After all, it really isn't about teaching content, it is about teaching students. Because of this, I see my new position as a huge opportunities to make a real difference in the junior high this year. I have spent the last week working incredibly hard, but I haven't been doing much worthwhile. You see, last week we were back to school. In the past I would have felt pretty good at this point. I would be ready to start working with my students doing fun and interesting things. The preparation for this week would be complete. Unfortunately, because of changes that have taken the place over summer I have not yet reached that point. Our school has changed server software from Novell to Windows Server, but we haven't finished changing over all our computers. Our teachers can't print from their computers because the network printers have to be rerouted. I have changed positions from fifth grade to jr. high/tech facilitator. This does not include the basic beginning of year problems that need to be solved like bad cables, forgotten passwords, moving computers around. Take all these problems and add to them my computer lab doesn't want to run correctly and our internet access is less reliable than satellite tv in hurricane. I am not looking for sympathy, I have already done that on Twitter. What I want to do is explain that I have thought about the past week and I realized that I have failed to take care of the really important things. I haven't spent any quality time with the new teachers in my building to help them reflect on the first few days. I haven't walked around and made any connections with the students in the school. Obviously my priorities are messed up! This week I plan to spend more time working with the staff and the students than I do with the technology. I will make sure my priorities are put in order. One of the best reasons to become more technologically literate is because technology is always changing.That of course requires us to continue to learn, adapt, and evolve. An active mind is a sharp mind. 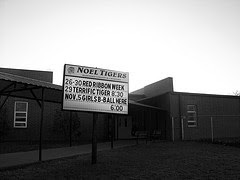 With that in mind, welcome to the next generation of content collection for Noel Elementary, Grou.ps. The picture above shows a screen shot of the beginning of our eight grade group. The purpose of the group is two-fold. First, it is a place for students to display content they create using tech (and non-tech) tools. Second, it is a learning community where students can communicate with each other (and selected adults) so they can further their education. 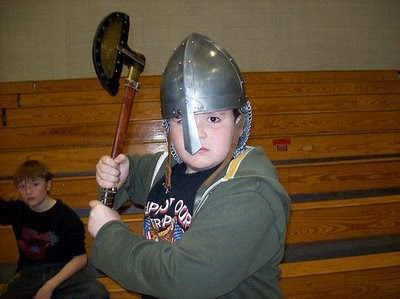 With this site, there are no barriers for learning other than computer/internet access, unless you consider moderation a barrier ;>. I suggest you consider how you want your students to display their work and communicate with each other. Spend some time looking at the tools available (and check with your district to see what they block) and get started. It is never too late to begin learning anything, especially tech tools! My school had a lot of teacher turn-over this year. Our junior high alone lost four of seven of their teachers with three new teachers taking positions and me moving up from fifth grade to take over the media lab. As you may understand there is a lot of stress involved for us. I have spent a lot of time the last few days talking to the new teachers and trying to get them to feel more comfortable around the school. I also want them to be able to know they have someone they can contact in our hallway if they need help or have a problem. Obviously many of us spend a lot of time working on developing our professional learning communities, but at this time of year it seems important to develop our LSC (local school community). Is this as important to you as developing your on-line communities? In the past we have had beginning of year social events for the teachers to go to and meet each other. We had one that worked pretty well last year, but the turn-over was not as large as this year. What kinds of things do you have at your school to welcome new teachers (besides the state mandated stuff)? How do you personally meet and great new teachers that you will be working with? By the way, with my change in position I will have more opportunities to facilitate interactions between students in my grade 3-8 building and other schools. If you are part of my PLC be prepared, I may be soon looking to collaborate! I found this written at a wall on the campus of Louisiana Tech. I suspect it was written by a student, not one of the professors (although I might be wrong). Why would someone feel the need to write this graffiti on the wall? What is holding them back? On Saturday I was on Grand Lake in Grove, Oklahoma. I saw over one hundred houses that had a market value of a million dollars or more. Is the drive for money the reason that keeps students from doing something that matters? If so, how do we convince students to follow their hearts, not their checkbooks? Dr. John Strange is a professor of professional studies at the University of South Alabama. Dr. Strange does a fantastic job with his students in his education classes by teaching them how to utilize different types of technology tools and resources that they can use as they continue to become a teachers. Dr. Strange has created two awards, named in memory of his parents, The Hadley Harrington Award& The Ruth Jessee Strange Award. The Ruth Jessee Strange Award was given to a fellow colleague Bill Chamberlain. I was contacted by Dr. Strange on Sunday. 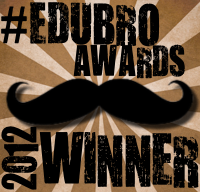 John sent me an e-mail stating that I, along with Jarrod Lamshed, have been awarded The Hadley Harrington Strange Award. I was really taken back by the whole experience. I have never received an award prior to this point, and because this award was based on my educational practices, it really made me proud to accept this award. So, thank you so much Dr. Strange it truly is an honor and I am looking forward to using this money to help better the educational experience in my own classroom. 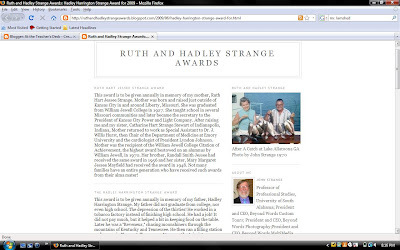 Like Joe, I found out this week that I am a recipient of The Hadley Harrington Strange Award for 2009. It's a very humbling experience, and I'm very proud to share the award with Joe McClung. Joe is a fantastic teacher, and although he is on the opposite side of the globe to me, here in Australia, I feel that I have a strong sense of his teaching through his class blog. I am currently in my 4th year of teaching and find that reflection and collaboration is an essential part of my growth as a teacher. I thank Dr John Strange for the support he shows my class and I, through his comments on our blog. With so many current teachers afraid of using technology, it is fantastic to see Dr Strange incorporating this into University/College teacher training. This money will further support our online programs and I look forward to being able to share this in the near future. I promise to be more available to my students. I will give them my phone numbers, email address, and Twitter name. I will encourage them to communicate with me outside of school. I will be available to help them with their education when they need help, not just during our class period. I received lots of comments about this particular promise, and I want to explain why I included this promise. My students live in what America considers poverty. We have in our school 90% of the students on free or reduced lunch. 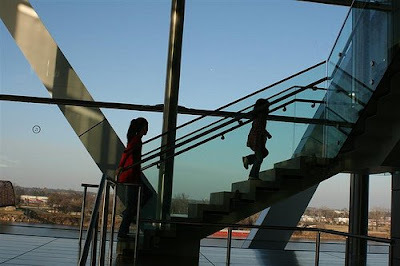 There are a huge number of students that live in single parent or single parent with extended family homes. These single parents are by a very large majority women. The male role models in many of my students lives are in prison, on drugs, or have other socially unacceptable problems. I may be the closest positive male role-model my students ever have. While this information may explain why I might feel compelled to be more available to my students, it is not the reason. I believe that one of the most important things I strive teach my students is to love to learn and to continue to learn throughout their lives. I have learned much more outside of the classroom walls. I continue to learn, most of which takes place at night, on weekends, and over summer break. This is what I want to model to my students. How can I do this if I don't allow my students to see what I do when I am not in the classroom? I have been reminded often to model to my students the behaviors I want them to see from them. I'm stepping up to the challenge. What Is Your Killer App? Alex here is curious, he wants to know what are the most important applications to use in school. 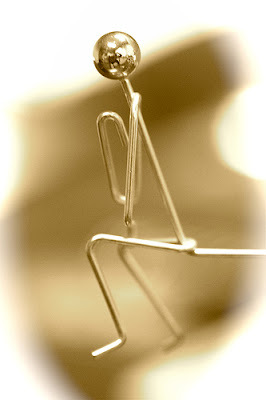 Is it blogs, wiki's, or Nings? Maybe you prefer Glogster, Kerpoof, or Edmodo? Tell me what program you can't live without. I'm tired. I'm tired of waiting for a vision of education to be passed on to me. I'm tired of thinking about the purpose of education and the purpose of schools. I'm tired of reading about how our schools are outdated, outmoded, and worthless. I promise to spend more time talking and listening to my students. I will get to know all of them better than I have in the past. I will talk to them about their past and their future. I will show them they are important by creating a relationship with them. I promise to teach students, not content or tools. I will do my best to meet their needs with their learning. I will adapt my classroom to them, not expect them to adapt to my classroom. I will make the tools and content I teach relevant to my students so that they see a reason to learn, not just because it is on the test. I promise to be more available to my students. I will give them my phone numbers, email address, and Twitter name. I will encourage them to communicate with outside of school. I will be available to help them with their education when they need help, not just during our class period. I promise that I will be an advocate for my students. I will speak for them when others talk negatively about them. I will listen to their side. I will try to discipline them out of love and respect, not from anger or annoyance. I will treat them as if they were my own children, because they deserve it. I believe that when teachers focus on students and nothing else, education will change for the better. Thankfully, I have had great feedback from the network. There is real value in the conversation between us. Thanks to @Will @dragonsinger57 and others for pointing out the need for this addition. Here is an update to the manifesto. I promise to model learning in my classroom with my students. It is important that our students see us not as the "great repositories of knowledge", but as individuals that continue to learn as we go. Not only should we model how to learn, but that we continue to need to learn. What Do Professional Educators Do When School Is Out? I know what I do over the summer months when school is out, but what is it you do? How much time do you spend decompressing and how much time do you spend preparing for the next school term?Do you go to workshops or learn online? Here is a post I wrote for my class blog, Mr. C's Class Blog. I am also posting it here because I wanted to share what my class has become. In the past I spent lots of time teaching content. I had my students do questions in their textbooks and lots of worksheets. Through my connections online with great teachers I evolved. I am a better teacher because of these connections. My students have a better opportunity to succeed because of these connections. In a few short years I have become less of a teacher and more of a facilitator for learning. My students are taking a responsible role in their own education. My students are working on their biome projects now. Throughout this project they had to make choices based on what works best for them. Here are some vids of my students talking about what choices they made. Here is Seth explaining what strategy he used to gather his information for the project. Here Rosa talks about what strategy she used to gather her information for the project. Here is Megan explaining what biomes she chose and which project she will do. Here is Nathan explaining what biomes he chose and which project he will do. Here is Parker explaining why he likes to be given choices with his work. When Is It the Right Time to Focus on Vocabulary? I am doing an action research project with my students the last two weeks of school. What I want to learn is when is the best time for students to spend time with vocabulary from a textbook. I would think that learning the vocabulary words first would be more helpful when it comes to understanding the text. I also think their is a possibility that going over the words at the end may make the students' short term memory work better for the test. I also want you to note that this assessment, like most textbook assessments, is heavily weighted with vocabulary questions. Here is my procedure: I have three different fifth grade science classes so I split them into three groups. The first group is a control group where I will teach two sections in our science book without a special focus on vocabulary, just the normal worksheet provided in the student materials. The second group will begin the short unit doing two of the vocabulary skills outlined in Allowing Students to Differentiate with Vocabulary Strategies. The third group will end the unit with doing two of those vocabulary skills. Ultimately, this small sample won't completely answer the question, but it may give me some insight into this. Would you teach a unit's vocabulary at the end if research shows the students would score better on the test that way? Or would you teach the vocabulary at the beginning? As I become a more professional teacher, I become a more directed learner. Having read Marzano's Classroom Instruction that Works several years ago as part of a book study conducted in my building, I was particularly interested in the chapter on non-linguistic representations. Basically non-linguistic representations mean visual, but not verbal representations. For several years I have included doing as many of these in my classroom as I can. I even incorporated webbing into one of the note taking methods I teach my students. Last year I was given A Handbook for Classroom Instruction that Works also by Marzano that our school used again for a book study. Last semester I was reading through parts of the book that hadn't been covered by the book study when I came upon a section on vocabulary. In that section there was a five step process that was recommended for teaching vocabulary. Basically, it asks the teacher to give an everyday definition of the word and then draw a graphic representation (picture aka non-linguistic representation) of what the word means to the teacher. The student is then directed to write the word's definition using their own words and draw their graphic representation. I required my students to not draw the same picture I drew. 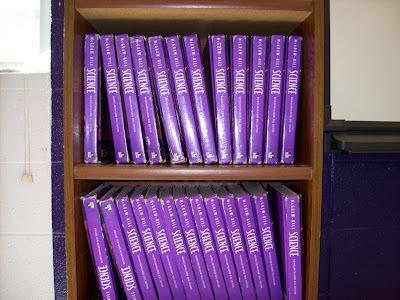 A few months ago I noticed our reading class was getting stale. In fact, we were all bored. I decided I needed to do something different so I decided that I would add some extra work to the week. I gave my students an extra assignment tied to the story and added both skills and vocabulary options. Here is an example of a weekly reading cycle my students completed. Notice the vocabulary assignments. Because I have been emphasizing students choosing what works best for them, I decided to allow them to choose two strategies they thought would be best for them. (We had extensive discussions about learning styles and what works well for the students before I implemented this.) Below are the choices I gave my students to use. I even allow them to use something not on the list if they ask me about it first. Every strategy here is used by at least one of my students! Here is Gavin explaining what he does to learn the vocabulary words in reading. Here is Megan explaining what she does to learn her vocabulary words for reading. Here is Zac explaining what he does to learn his vocabulary words for reading. Here is Slendy explaining how she learns her vocabulary words for reading. This is an example of how students are becoming responsible for their learning. They are trying to choose the best strategies for them. Obviously, this is what we as educators should strive for, students that understand how they learn best using tools that best fit their learning. I am sure you also noticed that two of the four students admitted they had not transferred these skills to other content areas. This is a big concern of mine, and I hope to address this very issue school wide next year. While the short term goal was to increase vocabulary in reading, the long term goal is to teach my students to become reflective learners. Are Our Students' Day Too Structured? I know that students need structure. My question is do they have too much structure? Their days are completely scheduled out. Unless they are fortunate enough to have a few minutes for recess, they are watched and expected to sit, be quiet, and work. I can say that as a teacher I could not work under these conditions. Why do we expect our students to? When do your students have time relax a little? Do you rely on recess, art, or PE for your students to have "down time", or do you keep your classroom more relaxed where students can work comfortably? Most of the students in my school come from a very stressed economic background. They don't have a lot of extra money to spend. Most don't have computers, let alone internet access. Not asking for sympathy, just telling you their background. As you know if you read this post, my students participate in an activity called "Tie Tuesday" where they wear ties at school. I bought a bunch of ties at yard sales so my students could have them to wear. Last week I had my students leave a post on the Daraja Academy Blog. Many of my students didn't understand why the academy was a big deal. We have free (compulsory) education in the United States. They couldn't understand why I thought the Daraja Academy was so important to Africa. They didn't get it. After I explained how hard it was for kids to go to school in Kenya and many other African countries, they began to see the point of the academy. A light bulb went off and I realized this may be a "teachable moment". I told the students that the school ran off donations from people and I thought we might be able to help out. I asked them if they would be willing to "rent" the ties on Tie Tuesdays for a quarter and we could send the money to the academy. They unanimously agreed that it was a great idea. This Tuesday the students started bringing me their quarters to rent the ties. Some students rented ties for their friends and a few even donated extra money. After the ties were all rented out I counted the money and they had given $10.45. Now this is not an extraordinarily large amount of money, but the students and I were both pleased. The class voted to wait until next week to send the money, after they had another chance to donate. The money my students donate will probably not make a big contribution to the academy, but it just might make a difference with my students' attitude towards our school and their own opportunities. Their willingness to give has already made a big difference with the amount of respect I have for them. What are you doing in your class to teach your students about giving? Daraja Academy is the first free all-girls secondary school in all of East Africa. After reading Miles Webb's, @NZWaikato, post on adding video to your blog, I decided to take up his challenge about how to stream video. First let me say this can be a very controversial subject. It seems that many educators, teachers and administration, are hesitant to open up their classrooms to public scrutiny. This is not a decision to enter into lightly. If you are interested in my story, here is a link to a post I wrote about it. The first thing I need to address is the purpose of streaming the video. I stream video in my class so that others can see what we are doing. With a back channel, I can use the video to have a conversation with others outside my classroom. I also stream video to share specific things we are doing in class. I also use the streamed video to record events that I can post to my blogs. Step 1, secure permission of your administration and, if necessary, parents. Our districts policies require parents to "opt-out" of being included in media. Since this includes year book, pictures for newspapers, news stories, etc. this has not been a problem. Since our district implemented the policy we only had one parent ask for their student to not participate. Step 2, Get a camera. 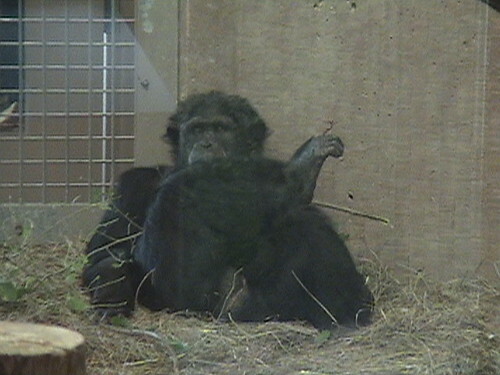 It is possible to use a cheap web cam without sound to an expensive camcorder that has video and audio out. I use a cheap no-name webcam in my Digital Media Center, a nice Creative webcam that is audio capable in my classroom, and an old Sony Steady Shot camcorder for video and Blue Snowball microphone for church. If you just want to stream video without audio, don't spend a lot of money on a webcam. The video quality will be fine. If you want to record your video with or without audio using your computer you will want to invest in a high end web cam or an inexpensive camcorder. I use my camcorder with video out through the firewire port and import it into my bottom end Mac book. This gives me great video. I don't like the adio quality as well so I purchased a Blue Snowball to import the audio and it has made a noticeable difference. Something to consider when choosing a web cam or camcorder is what will you use it for. Camcorders have the most flexibility but they cost the most. Webcams are usually inexpensive, but they have to be tethered to the computer. A seperate microphone can not only improve audio quality, but it also gives you a good tool to record audio. Here is a link to audio my students created in my class. Step 3, choose your streaming site. I use Ustream.com to stream my video. It has several options I like including an optional chat. Here is a link to a post where I explain how I used Ustream to stream and record a presentation in my classroom with the chat enabled. There is also Stickam, and Mogulus. I periodically go back to these to see if they have improved enough or added new functions that may cause me to switch. Step 4, start streaming. I can stream video and audio and record it with Ustream. I can place the streaming video on a blog, wiki, or a static page like Google sites using embeddable code. I can also do the same with the recorded video. This gives you lots of options. Finally, here are some things you may want to consider streaming live: athletic events, musical events, teacher trainings, a class lesson, student presentations, science experiments, a student creating art, visitor presentations, awards assemblies, or, if you are crazy like me, everything. If you are interested in streaming, but needs more information, don't hesitate to ask. This may be a small post compared to the others on this blog. It isn't about broad changes in thinking,, or learning, or teaching. What it does address is class and school climate. When Joe came in with his Tie Tuesday idea, I didn't think much about it. I had worn ties every day my first year of teaching, and I am so over that now. I thought it would be something that happened for a week or two and then it would die out. I was wrong. Joe's next ideas was Jersey Friday. 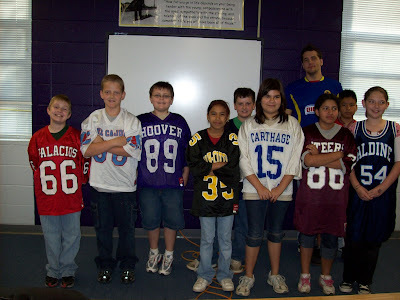 The days the staff can dress "down" we would have the students wear jerseys. Since I have many sports jerseys, I was happy to participate. I still thought it wouldn't last. The fifth and sixth grades have been enjoying both days. They seem to enjoy being part of something special, even though it isn't anything big. Of course I was wrong. Looking back over the last few months I can see that our classes climate has changed a little for the better because of two seemingly insignificant things. If we can get lucky and make a positive change, can't we do better with some thought and effort? Welcome to the First #Comments4Kids Wednesday! My classes spent the last two days commenting on blog posts. This is why we did it. #Comments4Kids was started because several people thought that more attention needed to be spent on content created by students. They need feedback to improve and get better. They need others to notice what they create. I decided my class needed to go out and do commenting because they want others to comment on their content. 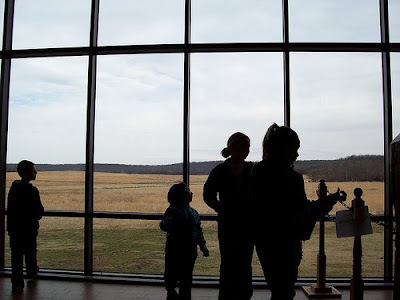 This work by wmchamberlain is licensed under a Creative Commons Attribution-NonCommercial-ShareAlike 3.0 Unported License. Based on a work at wmchamberlain.com.